An array of problems have appeared for some users updating various iPhone, iPad, or iPod touch models to iOS 9.3, so much so that Apple has actually pulled the iOS 9.3 update for most older model hardware. This means that many devices will simply have to wait for a newer fixed version if they haven’t updated to iOS 9.3 yet, but obviously that’s not too helpful if you already updated a device to iOS 9.3 and it is now rendered inoperable with an activation error, verification problems, iCloud issues, Mail and Safari link failures where a link is clicked but does not open, or some of the other annoyances that have popped up with the software update. Update: Apple has released iOS 9.3.1 update available to download now to address the link crashing bug, and it also contains the activation error fixes. This is in addition to the patched version of iOS 9.3 that was released previously to address the activation error issue on older iPhone and iPad device models. You can download iOS 9.3 build 12E237 here or get it through itunes. Note that a fixed version of iOS 9.3 is arriving soon from Apple, which will remedy many (if not all) of the problems encountered with the software update for iPhone, iPad, and iPod touch users. In the meantime, let’s state the obvious: if you haven’t updated to iOS 9.3 yet and you have any hardware older than an iPhone 6 or iPad Air 2, do not attempt to update to iOS 9.3 until a fixed version has been released from Apple. If you have already updated and are experiencing issues, try the troubleshooting steps below to resolve problems with an iOS device running iOS 9.3. If your device is completely stuck and unusable, a downgrade from iOS 9.3 to iOS 9.2.1 works, but you may lose data if you did not create a backup before installing the update. Users impacted by the activation error bug should update to the latest version of iOS 9.3, this may require specific steps discussed here to update a bricked device. Some users may update iOS and get stuck on an “Activate” screen. You may be able to resolve this, or the “Unable to Activate” error post iOS 9.3 with a computer and iTunes. This requires a USB cable and the latest version of iTunes to be installed, beyond that it’s the same on a Mac or Windows PC. 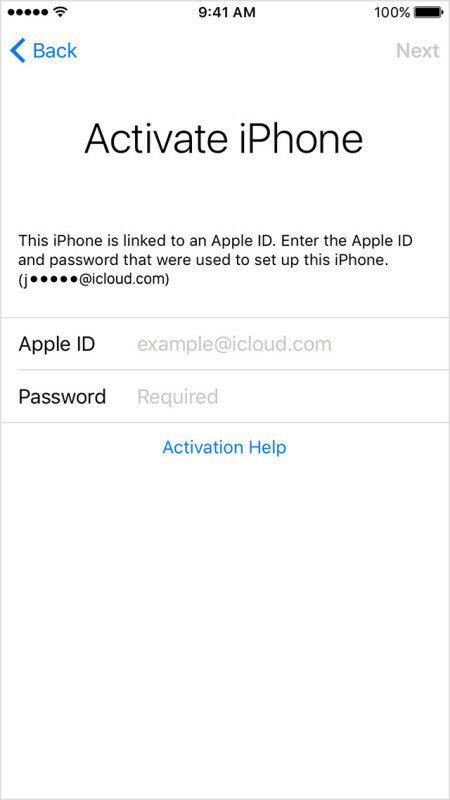 Some users may also be able to remove the activation lock with iCloud using the instructions detailed here. Some devices are experiencing verification errors during the iOS update, this is often similar to the activation problem outlined a moment ago. Sometimes this manifests as a verification failed error because “you are no longer connected to the internet” on the device. You can fix unable to verify update errors with these instructions, but do keep in mind if you’re experiencing the message on a device that has since had iOS 9.3 revoked, the solution is to wait for a new update from Apple, or to downgrade the device to iOS 9.2.1 (which we cover further down on this page). If you see the iOS 9.3 software update available in Settings, but you get an “Update Unavailable” error message when attempting to download and install the update, this is because the update has been removed by Apple and is awaiting the fixed version. The best thing to do in this situation is simply wait it out, as the new trouble-free release will be available in the coming days. Simply check for a software update again periodically, and install when it is available. Downgrading iOS to the prior release is another option, which we’ll discuss in a moment, as even restoring a device to iOS 9.3 is ineffective at resolving the URL failure. If you are experiencing persistent problems with iOS 9.3 on a device, you may want to consider downgrading to the prior stable version of iOS 9.2.1. This works to remedy any of the above mentioned issues, but also fixes some of the other software annoyances like Mail and Safari links failing to work, copy and paste errors, Bluetooth not working, and many other bugs that have popped up with iOS 9.3 in it’s current form. A potential issue with this is that if a backup was not made prior to the original iOS 9.3 update, the user may lose their data. This is a somewhat technical process that uses firmware files, but we detail the steps to downgrade iOS 9.3 to iOS 9.2.1 here in a thorough walkthrough. Battery Life with iOS 9.3 is Awful, My iPhone / iPad is Hot After iOS 9.3, etc – What Should I Do? Some users have experienced faster than usual battery life after updating to iOS 9.3. Other users may have noticed their iPhone or iPad is suddenly warm to the touch after installing the iOS 9.3 update. These two complaints pop up with nearly every iOS update that has ever existed. Here’s the good news; these type of issues are almost certainly temporary, and almost always will fix themselves, as iOS system software runs through various maintenance and indexing under the hood. If you are experiencing these problems, simply let the device sit for a while, and it will usually resolve itself in time. Do you have any specific experiences troubleshooting iOS 9.3 on your iPhone, iPad, or iPod touch? Let us know in the comments what worked for you. How did this go through 7 beta versions and still release such a rich mess into the world? Does apple have QA employees? Presumably the issues slipped through the cracks because iOS beta versions are installed through delta updates, so whatever the problem is likely arrived in a later build and wasn’t seen by someone updating to iOS 9.3 from iOS 9.2.1 until it went to the general public. But who knows, it could be more simple or more complicated than that. This should fix the issue, unless you have another one of the effected apps installed on the iOS device. It’s not clear yet all of the apps which cause the problem, but it seems like the apps are causing a memory overflow error and there may be more than one. Why do these apps interfere with Safari, Messages, Mail? No sure yet, but this is quite a bug! I have removed booking.com and am now able to browse/search via Google Chrome. It’s not fast nor is it pretty, but my iPad and iPhones are no longer ‘totally’ useless. By the way my iPhone plus is fine. But my Mac with OS X 10.114 is buggy now. A long-term Apple user once told me to never update for at least 60 days so they can get the bugs out.I ignored this for this update and find my Photo Transfer APP on my iPhone does not work, my mail on the Mac is erratic, and the iPad keeps telling me that I am not connected to the Internet. I think Apple and many commentators who write these articles totally fail to realise that many iPad users do not also have other Apple computers so do not have access to iTunes. These tend to be more elderly users who absolutely adore the iPad for the freedom and access it provides but have no wish to spend large sums of money on equipment they don’t need. I am aware of 3 such users in my town who have blocked iPads and can do nothing to sort out the problem. These are not geek types who can work around these problems they just love what the iPad provides for them. They feel badly let down by Apple. So before everyone just casually suggests “connect to ITunes” to many that’s simply not an option. Steve, I agree this is a problem, especially since the iPad (and iPhone) are advertised as “Post PC” devices that do not need a computer. The reality is when something goes wrong, they do need a computer. I encounter the exact same issues you describe in my family with people who simply are not tech savvy, many of them never connect their iPhone or iPad to a computer and wouldn’t know how to begin. Most of them simply end up at an Apple Store or a cell phone store when they have a problem, and Apple sometimes fixes it with a device reset but they lose all of their stuff and pictures since most do not know how to backup either, or, almost worse, they go to the cell company who often tries to sell them a new device to replace the ‘broken’ one which simply has a software problem that is fixable. I know someone who replaces their iPhone every 5-6 months on average simply because they go to Verizon when a software update fails like this, or they run out of storage space, and Verizon takes advantage of their ignorance and tells them they need a new phone every time. It would be a good idea if Apple stopped aggressively pushing software updates on users with pop-ups and automatic downloads, many people don’t know any better and click to update, then end up with a problem. This is all the more important to avoid when the software updates are often problematic. For what it’s worth, I frequently advise my non tech savvy family members and friends to not update system software if their device is working as is for them. I also do not advise my non tech savvy friends and family to update software when it is freshly released, waiting a few days to a week is prudent as issues are sorted out like this one. While it is true that many people never connect their devices to a pc or mac, there is also icloud. All iOS devices automatically back up their data there unless the user deliberately turns the feature off and prefers to use itunes (which most users do not), so changing devices -when really necessary or when upgrading- does not have to mean loss of information. On the other hand, I agree that Apple is overdoing it with the upgrades. Staying completely away from them, however, seems a bit radical to me, since some of them -usually the new versions and point releases- do contain new features and relevant changes users could benefit from but would be deprived of if they don’t upgrade. I’d say upgrade only when the number changes (i.e., iOS 8 to iOS 9) or when the point release has relevant features. Examples of this are iOS 8.1, which introduced apple pay on some devices and SMS continuity for most, iOS 8.2 introducing support for apple watch, ios 8.4 including apple music and a revamped music app or iOS 9.3 with night shift. Less relevant point releases where users could skip include iOS 8.3 and 9.1, which were mostly bug fixes. Not necessary unless the user had problems with the previous release. Also irrelevant are the two-point releases such as 8.4.1, 9.1.1 or the recent 9.2.1 which are practically identical to their immediate predecessors and seem to be released just for the sake of not waiting longer without releasing something. I recently skipped iOS 9.2.1 and basically went straight from 9.2 to 9.3, for example. And by the way, why is nobody mentioning the watch OS update. That one was buggier than the iOS update and has issues too. In fact, I updated my hone 6s and original Ipad Air smoothly, but when I did the watch it froze up on the clock after updating. I had to restart it a few times to get it working. As a side note to my previous comment, users of older hardware such as iphone 4s or ipad 2 should wait for feedback before installing any updates. They tend to be buggier or slower on those devices. Unfortunately, my iPhone stopped being able to back up to iCloud. The technician at Apple said this was a known problem and walked me through a ‘workaround’. Good grief. I understand some compatibility problems with 3rd party apps – although Apple used to insure this went smoothly – but to not wrk with your own ecosystem is inexcusable. If the iPhone isn’t gong to work with the cloud, I might as well buy an Android and use Dropbox or one of the other cloud alternatives. My Mac desktop still cannot sync the calendar with the iCloud even after gong through an hour on tech support. BYW, don’t even get me started on the horrendous design of the iPad Pro case with keyboard. What were they thing? Where has all their design talent gone? iPad can connect to iTunes. It’s one of the apps it’s comes with. I use it all the time. No problems for me yet with 9.3 yet (my iPad less than a year old). But I’ll keep this in mind. Anne, The itunes app that comes on ipads and iphones is just a mobile app for the music and movies store. Everybody uses that. The itunes software that installs on a mac or pc is the one Paul is commenting on above. That one serves other purposes such as backing up, installing iOS updates (it was the only way before ios 5.1.1 in 2011), restoring devices, transferring music from the computer (that may not have been purchased on itunes) and troubleshooting, among other uses. That’s the software that he says that most ipad/iphone owners don’t use and therefore never connect their devices to a pc or mac. I do have a desktop, dating to 2012. It’s not running the latest version of OSX so I’m ignoring anything that tells me to use the desktop. I was considering replacing it with a MacBook, but I’m not getting worried that their products are no good, plus very expensive. There is no Apple Store anywhere near me here on Vancouver Island in Canada. Tim Cook needs to be fired right this moment. His incompetence has been destroying the brand for years. He is the only total failure here. Steve would have fired a lot of people at this point to send a message thru the org. I miss him. How long will it take Apple to issue a fix? How many peoples iPhones and iPads are now useless because Apple doesn’t thoroughly test their crappy software before unleashing it on unsuspecting normal people with zero technical expertise or know how? How many working hours are consumed by troubleshooting avoidable issues? Apple is the richest company in the world. Why don’t they have a team of 100 people with every “supported” device running every update repeatedly to test this stuff out? Would Apple shareholders revolt if Apple spent a few of their overseas hundreds of billions in cash on a team somewhere to test this stuff? This is so avoidable, it’s shameful that Apple in their current state of affairs lets it happen. It’s not 1998 anymore, there is no excuse. Apple is squandering and destroying their hard earned trust, and nobody at the company seems to care. Apple is now in the hands of the bean counters like Cook and is following the familiar path to also-ran. All emphasis on sales and quarterly earnings/stock buybacks/dividends to satisfy the Ican’s of this world, while cheapening service/quality/innovation. I updated my phone this morning and now I am unable to browse the internet. I can get as far as googling something but when i go to click on a page nothing happens. I have tried both safari and chrome – is anyone else experiences this? You should be able to use Chrome to get around it. Downgrading to iOS 9.2.1 lets you use Safari again. Hi. I am having this exact issue. It also effects links in email and text. It not only fails to open the link, but if I continue to try and open the link, it will freeze either safari or mail. I tried it with Chrome, and it absolutely did not work there either. Other than downgrading, is there any other fix? Does anyone know when they’ll put out a new update for this known problem? Here’s what confuses me: this problem started for me around three hours ago, out of the blue, while I was on 9.2.1. After restarting and multiple attempts to pull up Google searches, I figured I’d update to 9.3 to see if the issue would go away. Needless to say, it didn’t fix the problem, but I hadn’t done ANYTHING to my phone at all before the Safari link problem appeared. I’d been using Google News all day with no issue. That’s exactly why I upgraded as well. I was already having issues with the 9.2.1. That’s exactly the same scenario here. I only updated in an attempt to fix the problem. What is going on here??? That is 100% my story ….. looks like Apple uploaded the 9.3 update to my phone prior to me installing it and then something happened before I actually upgraded. So freakin’ weird. Still no solution to it. Really frustrating. Been having iPhones since 3Gs, pretty much all of them …. starting to get really disappointed with this company. I too have this problem. Not only this time, but many times in the past when my pad alerts me that there is a software update, all of a sudden, it will start experiencing problems that weren’t there before and I feel “forced” to update. 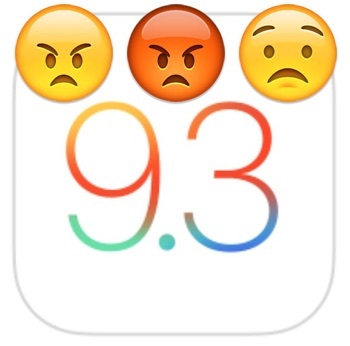 Apple is really good about fixing the issues with their updates, but 9.3 was a big update that should have been more heavily tested before being put out to the general public. Chrome has its own set of problems under iOS, in that more often that not it will generate an “Aw, snap” FAIL on pages which worked perfectly well until about two months ago. I have exactly the same problem since upgrading to 9.3 this morning. i can’t get to safari by pressing links in e-mails, or google searches. VERY frustrating!!!!! I’ve had the EXACT SAME issue. Broken in Safari and Chrome – don’t want to downgrade to 9.2 and lose images of my newborn. Oddly if you click on Google Images they work absolutely fine. I also downloaded Chrome, and that doesn’t work either. Working down the list of suggestions with no luck. I think I will not be continuing with iphone in the future. Same issue here, with Safari, Chrome and Firefox. But only if I search with Google, if using Bing.com, clicking the search results does work… Might be something to do with https encryption used by Google? The problem is with Apple software, as links don’t work in Safari or in Mail. The Apple software problem is not a problem with Google. I just upgraded to iOS 9.3 tonight on my iPhone 6S and now the links in Safari won’t work and then crashes Safari. I find that the Puffin Browser still works perfectly(with the added benefit that Puffin supports Flash content). Hope Apple sorts this out fast. That’s because Puffin browser runs on a server and not on your phone. What if my iPhone 5s was updated to iOS9.3 just hours before Apple pulled the update? No problems have yet to be experienced, no authentication errors have shown up, no “burning” phone issues have arisen, no “wasted” battery problems are rearing their ugly head(s) – i.e., the iPhone seems to be operating as it has always operated. So, what now? Can my 5s phone be expected to suddenly *glitch* and go blank? Will it be advisable to re-install the 9.3 update ‘fix’ once Apple releases that? For Heaven’s sake – WHAT to do!? If your iPhone is working fine you have nothing to worry about. It’s very obvious if it’s sticks on activate screen or bricks with verify. I have an iPad3, installed the 9.3 update recently, and have experienced no problems so far. It doesn’t seem to be all older models which experience problems, therefore. Right, many users don’t have the problems, some users do. If you don’t, be happy! If you do, Apple save us! No, it’s not everyone fortunately. I updated an iphone 6s and an ipad air (the first one, last ipad model to come without touch id). Both are working just fine. It was actually the watch update that wasn’t as smooth. It froze on the clock screen after updating and I had to force restart it a couple of times to get it to work again. I had no other issues afterwards. I have an iPad air and links in Safari are frozen. Have not downloaded IOS9.3 as iPad is telling me i am not contacted to the internet which is a load of rubbish. Come on Apple get a grip for gods sake. Yes, I also have a 6. So, I wonder if the link problem is more prevalent with 6’s. Luckily I haven’t run into any of these issues on my iPhone6s, however, I have 2 3rd part chargers that worked in the morning but not in the afternoon (after the iOS 9.3 update)! I get a screen that says “This cable or accessory is not certified and may not work reliably with this iPHone.” My phone refuses to charge when plugged into these chargers. Very frustrating! I’ve been expecting this for some time. Looks like it’s finally here. USB voltage and amperage ratings are industry standard. Apparently it wasn’t good enough for Apple. Funny now, though, how Apple isn’t good enough for the industry. In my opinion, this is just another example of many recent updates that have caused problems when the update is applied. I don’t know whats happened internally at Apple, but something has, in the past their updates were rock solid updates with no problems, now that is not true…… quality has gone out the window! I agree entirely, something has slipped internally and Apple software quality is plummeting. You should absolutely not have software updates that are pushed to users aggressively that render their hardware inoperable. It seems Apple hires more support workers to handle the load of problems, but fewer QA engineers to troubleshoot before it’s out in the first place. Something is wrong there. I guess it has to do with the absence of Steve Jobs. And let’s not forget that Cook came from Microsoft. Since he’s in charge they’ve lost quality and done a few things that Steve said were no-nos, such as a big iphone (the 5.5″ plus models), a large 12″ ipad (pro) and a stylus (apple pencil) and keyboard for the ipads. Steve Wozniak recently said he was also worried that Apple had launched 20 different watch models (10 sport and 10 steel) where basically all that changes for each model is the band. Verizon told me to upgrade to this to fix my crappy audio, of course it didn’t- and it immediately screwed up iTunes like you can’t believe. TWO Senior Apple Advisors told me no way could I downgrade the operating system, just was impossible. I’m not sure who lies more, Verizon or Apple, but this is why I hate upgrades, if it works no need to fix it. I am experiencing the “hot” temperatures like I haven’t experienced before. You can downgrade despite what you were told, it is only possible for a limited time while iOS 9.2.1 remains signed by the Apple servers, however. If you don’t have a backup compatible with iOS 9.2.1 you may lose data, however. The unresponsive/crashing links in Safari & Mail problem started for me around three hours ago, out of the blue, while I was still on 9.2.1. After restarting and multiple attempts to pull up Google searches, I figured I’d update to 9.3 to see if the issue would go away. Needless to say, that didn’t fix the problem, but I hadn’t done ANYTHING to my phone at all before the Safari link problem appeared. I’d been using Google News all day with no issue. Therefore, I don’t think it’s related to the update. This is the exact same situation for me. Safari and mail were working fine until this morning on 9.2.1 but then out of the blue the Safari links stopped working. After being pestered to upgrade for a while i decided it was worth upgrading to 9.3 to fix the problem but now it’s worse than before. What’s the point of creating a update with a major issue and sending message after message to users to update if it’s substandard and clearly not fully tested? Since Tim Cook took over leadership of Apple the company has been sending out multiple updates several of which do not work until further patches are released. They have also had problems with there product line. There have been several security patches which they mask as updates. The saying when Steve Jobs ran the company “That it just works” is a thing of the past. Tim Cook should focus on the company and less on his social issues. I update my iPhone 6+ earlier today and it’s completely ruined all the links on Safari and my email…this is completely frustrating!!! My phones not even an old model! After downloading to 9.3 none of my Hyperlinks work in Safari, or Apple Mail. When taping on a link of any kind in Mail it doesn’t do anything then freezes the screen. In Safari, when typing on a link, nothing happens at all. Me too. After some days with 9.3 now links don’t open on google page results. Chrome has the same issue. I updated both our iPhones ( a 6S & 5S ) together with a new iPad Mini 4 on 21/3 with no problems. Everything works fine. More interesting I also updated a 5 year old iPad 2 on the same day and have had zero problems. It works fine. So why hasn’t my elderly iPad been affected? I’m confused. Yes, I update all my Apple devices regularly and keep them clean & clear of crap. i cannot see my photos now in ALL third party applications. The apps display the number of photos in each album, but do not show any thumbnail image. So thanks to 9.3 I’m literally blind and left high and dry with my iPad. john: I’m having that problem when trying to upload photos to the Stockimo image library via their app on my ipad air 2 (ios 9.3). Very annoying when you use the ipad to edit the photos – now I have to transfer them to my iphone via Dropbox for uploading. Strangely, my iphone 5 (also ios 9.3) isn’t effected. A quick ps to my comment at 12.38am today. I’ve used computers since 1969 and Apple from the 1980’s. I have owned an iPhone since 2007. To date I’ve never had either an OSX or IOS update problem. However, I remain a technological ignoramus and consequently do everything by the book. I’ve no idea whether it’s technically significant but always complete IOS updates via an iMac and iTunes and follow instructions on the iMac screen. I know friends & family who update directly into IOS devices and have had problems. Maybe that’s just coincidental. I’ve no real idea. yes, I agree with your method and have done it like you for a long time. In the last year I have switched to OverTheAir Updates like all users without a PC or Mac have to do. And I have not seen an issue. My iPad 2 and my iPad Air2 are running fine with 9.3. There are two rules. 1) Wait with update several days. 2) Do a backup before your update. Most important is a Backup, either by iCloud or by iTunes. To All: PLEASE DO NOT UPDATE WITHOUT A BACKUP ! Do not trust a PC/Mac or MobileDevice, these machines can always fail/break without warning. If you do not know how to do a backup, simply send an email with important pictures to yourselve or to a member of family or a friend. Mobile Devices normally do not have the old method of storing all emails only locally, they store it on a mail server (IMAP) and you can always get it back. We are in 100% agreement! I’m also very careful with third party apps. I’ve found the more you have on any IOS device the more likely you are to get update compatibility problems. This, of course, applies to OSX and Windows as well. Lost count of the number of OS’s I’ve used over the past 40 plus years. All have problems from time to time. I guess the difference is that Apple was once so relatively free of difficulties. I too started having the inoperable link/mail freeze problem a couple of days before updating. I thought that updating would solve the problem. Nope. Link Problem on 5s with both safari & chrome as others mentioned, but the twist is, all worked fine until I attempted to upgrade to 9.3 and it said unable to verify update, which I think means it was pulled & not signed any longer,so it says downloaded on update screen, and the about screen says verision 9.2.1 or something like that, but my phone is acting like it was upgraded to 9.3 with all the problems? Is it installed & working/running and just not verified by Apple servers? Weird?? ?, because it still says old iOS verision in about? Any ideas? Thanks. My iPad mini was affected. Clicking on web links in search results do not respond. Thankfully my new iPhone 6s Plus is not affected. I would have not known why I was having a problem if I had only my iPad. This should be published on Apple News so those affected will have some way to know what is happening. I keep getting “no longer connected to internet”. I’ve reset the network settings, I’ve tried update with it plugged into the computer, but nothing is working. I have an iTouch I think it is a 5. Ive had it since Dec 2014.Soooooooooooooo annoying, especially when you’re an IT specialist and it’s defying every common sense thing you try!!! I updated my 6S on Monday. When I opened Safari, I was shown a Web page that showed the winning lottery numbers for each state for Tuesday. THE NEXT DAY! I bet $100 on Tuesday and won $600,000 dollars. When I checked Safari again, I saw Wednesdays winning numbers. I played again, and now so far I have won $38,000,000 dollars. I love this update! My iphone 4 won’t let me get on at all. It will turn on, and open up the basic screen with the clock, but when I try to turn to my lock screen, nothing happens. Does anyone know what I can do? this is ridiculous! How can u release this crap software. If I didn’t have an Iphone to look up the problem – I would be stuck with an iPad air that cant open a link from anywhere! Get that fix out SOON please!!! I agree, what if you can’t click a link to even learn of how to fix the problem?? Getting really fed up with Apple’s software updates whereby nothing seems to work.Simply causes too much hassle! Invest in a Quality Controll dept.If you have one then get rid of and organise a new one that can live up to its name! I’ve successfully updated my iPhones – 5c and 6s – with no problems. I used the over-the-air method. I always do backups on my MacBook before installing updates. I also turn off passcode protection. I see today that the force-downloaded iOS 9.3 has been deleted from my iPads 3 and 4 (I was waiting to make backups this weekend). So, without my consent, first they force download the update and then, they remove it! I can’t remember ever having these constant problems with Apple operating systems in the nearly 25 years I’ve been an Apple product user, until Steve Jobs died. Despite Jobs’s famous statement that “A lot of times, people don’t know what they want until you show it to them,” I can’t imagine him approving the forced download of iOS system updates. I support Apple’s refusal to hack their own software for the FBI, but isn’t it contradictory for Apple to be invading my privacy by continuously monitoring my iPhone/iPad to see what system I have installed at the same time? And by the way, I’m nearly 70, a woman, an artist (definitely not what one would classify as a “geek”), and without ever having taken a computer class, I’m the family tech trouble-shooter. I made it a priority to read, read, read, to learn about how each and every one of my computers and mobile devices work. In my family and social circles, those who have been problem solvers all their lives tend to be capable when it comes to managing tech issues, while those who are not problem-solvers are more tech challenged. Age has nothing to do with it. I am a 30 year old woman who works in the biochem field and can COMPLETELY relate to this statement. I am the techno-guru for most every one I know, whereas my formal education had nothing to do with troubleshooting devices, I have morphed into an exceedingly competent techie. Simply by reading reputable information and doing enough research to possess a full-picture understanding of how stuff like this works works. I never considered the fact that the difference between my accidental tech savvy and those who are lacking is merely the desire and curiosity to comprehend, analyze and problem solve. This is a serious issue that makes Mail app and Safari app useless on iPhone and iPad if you are impacted by it. Disable all extensions and blockers you have installed in the Safari browser, that can help too. But again, no help for links not working in Mail app. Apple needs to issue a fix ASAP. Then Apple needs to demote whoever is in charge of software quality, and hire and promote someone who is actually capable of releasing quality controlled software! Interesting, I have read about the link not working problem in iOS 9.3 after the update was installed, but have not heard of the problem occurring in iOS 9.2.1. I wonder if iOS pushed a silent security update in some versions of iOS 9.2.1 that was also included in iOS 9.3? Why do some users have the URL not working issue and others do not? This makes you wonder, is it regional or is it everywhere? My device works fine, but I do find that iOS 9.3 is buggier than iOS 9.2.1. There must be some cause. Apple software way little tested. My issue is different than all I have read on this forum. My iPhone 6 will not stay connected to the wireless network. It says I have “No Network” or, after a reboot, it shows to be “Searching” for the network. Sometimes it will actually show that I’m connected to the network but most of the time it says either no network or searching. I can’t make or receive calls or texts. I do, however, have good wifi and can access the Internet. Has anyone else experienced this phenomenon? Please help. My iPad 2 cannot be activated after upgrade. Has anyone tried the remedy via iTunes as suggested by Apple? Did it work without losing data?? Yes the solution with iPad 2 from Apple should work fine without data loss, but hopefully you made a backup beforehand anyway because you never know with how flakey this software has become! You can backup to iTunes or iCloud first, then update the iOS with the IPSW file in iTunes. I tried this on my iPad 2 mini and it didn’t work. I’ve tried it on 2 x iTunes machines and in recovery mode. It now install the update back to 9.2.1 but I still can’t logon as I get the “incorrect Apple ID” being used, etc. I’ve tried it in upgrade and restore mode, same result. 6 days later and I have an expensive lantern! Unfortunately, for iPhone 6 users at least, Chrome has the same links-not-opening-problem. So the only work around is to force open in a new tab. However links in messages are also no opening and so far I can’t even copy them. I’ve already downloaded the 9.3 update, but I haven’t installed it yet. When Apple creates the new fixed version of 9.3, how am I supposed to download the fixed version? I have an iPad 4, if you must know. Looks like Apple is catching hell and rightly so. Pushing out an update with so many bugs clearly shows that Apple’s QA process is completely broken. They need to do some house cleaning in their management team. Maybe starting with the top guy since he seems more interested in politics and causes instead of delivering quality products. Almost everything accepted so far, but: It is NOT a problem of the UPDATE! Several users including me have encountered the problem over night with 9.2.1.
my iPhone 5s has been updated to 9.3 and is ok so far but my iPad air is still using 9.2.1 and will not open a link when in safari, so yes I’m with you don’t think its an update issue . I havent updated either to the new version. The google links in this thread does work but clicking “back” doesnt. – Some data in the device accumulates by every usage of a hyperlink. Suddenly it is too much and according to a software bug something crashes. My iPhone 6 does not have this problem (at least until now), and I don’t really open many links on it. Browsing in the internet is mostly done on the iPad (98 %). – Clicking on some kind of hyperlinks is reported to an Apple server which has problems at the moment, maybe related to the 9.3 update. Since lots of users encounter the problem at nearly the same time this (or something similar) seems to me more realistic. This update caused the problems described on our brand new ipad air 2 64gb. Howeer thanks ref java off helping safari an chrome being ok thats fixed it partially. I’m on an iPhone 6s: safari is freezing on links and is effectively useless. My husband is on an iPhone5s updated to 9.3 and has no problems at all. It’s not necessarily old hardware that’s the problem. The report is not factually correct. I already had the problem with links in version 9.2.1. I have just upgraded to 9.3 and it still doesn’t work. Odd thing is that the problem only appeared recently (last couple of days). Unless iOS 9.2.1 was installed automatically a couple of days ago (Last time I manually upgraded is a long time ago), the problem has nothing to do with iOS but has a different source. I am using a iPhone 6 bought in Jan 2015. I have found one workaround: use Chrome instead of Safari. When you hold down the link, you can choose “open in new tab” and that works. Same on my iPhone6. Links in email not working, clicking even hangs mail app. Hypelinks in safari work but not in Chrome. What else is apple doing on my iphone that i’m not aware of??? The good times are over. This is so frustrating on a brand new IPad Air 2. Chrome and Gmail mail app seem to work better that Safari and Apples email app and Safari is better with Java off. Had to do that power reset several times to clear freezes. I suppose it will be several days before we see a fix… Being a holiday an all? I upgraded to IOS 9.3 as soon as it became available. I’m not usually an early adopter but up to now have trusted Apple. To begin with all was ok. mysteriously a couple of days ago the link problem started. I tried all the solutions but the problem is still there. Phoned Apple yesterday and went through the same potential solutions to no avail. Was told Apple are aware of the issue and working on it. It’s not until an iPad doesn’t work you realise what a useful tool it is. This is a big dent in Apple’s reputation. Let’s hope it is fixed otherwise the Apple stores will be full of iPad owners demanding refunds. My ipad won’t even turn on, isn’t recognised in itunes or in my computer as an external drive. I’ve tried the usual methods of pressing home and on/off; slapping the ipad on the back; charging through the mains etc but nothing at all works. I’ll check for the update on my other devices and try to see if magically my ipad appears in itunes so that I can at least download it, but I’m not holding out any hope to be honest. Spoken with Apple online and they haven’t got a clue! I upgraded an iPhone5, a 5s and an iPad2 to 9.3 – all work perfectly. My kids iPad4 is however unusable. It’s alway been clean, it never had a problem but after the upgrade it is a Brick. I’ve been using Macs for 12 years exclusively, this is the first problem I’ve ever had but this is very frustrating and needs to be dealt with, there are obviously thousands of people affected. These are very frustrating issues that are impacting a surprisingly large number of people despite iOS 9.3 going through many beta builds. Try out the recovery mode restore method, it may work to have it recognized in iTunes, where it can then be activated. Anyone know how to remove iOS and install Windows 10 on an iPad? Hard to believe that a company the size of Apple can allow incompetent releases of a so-called update (for which they nag you to update) when it is so clearly not ready for release. For heaven’s sake, does nobody test anything these days? Everyone is saying that Safari crashes, and yet they still push the update. Test it, then release it. Don’t nag us to update until you know it works. It’s not that hard is it? Apple on the new iPhone release bragged that 80 percent had the update where android had 2 percent MM, wow so Apple screwed 80 percent of their gullable followers, I always said Apple were going down the gurgles whilst Android just get better, flak jacket on. I see the tab Sleep Analysis on Health app is not working anymore (plotting on the graph) with the input information daily. I guess this is a bug of this new release because it was working properly earlier. Has anyone else experiencing this issue? Me too, same issue (and 9.3.1 don’t fix). I have the safari/link problem with my iPhone 6, how on earth is it possible they make a big mistake like that! I am scared to downgrade, I am not taking the risk to loose all my info on the phone. So I have to wait till Apple gives an update. Hope they come quickly with an solution so I can go on the internet again!! I have the safari/link problem with my iPhone 6, how on earth is it possible they make a big mistake like that! I am scared to downgrade, I am not taking the risk to loose all my info on the phone. So I have to wait till Apple gives an update. Hope they come quickly with an solution so I can go on the internet again! I kept getting a message saying couldn’t send mail on iPad 3 and iPhone 4S. In both cases I deleted the mail account and reinstalled it and it works fine. The main problem has been with the battery on iPhone when I first installed iOS 9. I had just had a new battery installed (by Apple) at £55. Now the life of the battery is no better than it was before the new battery. I’ve done everything I can to reduce battery usage but the phone still needs recharging every day even if I haven’t used it. I got away from Microsoft to rid ignorance, stupidity & greed. Looks like I’m right back where I started. BTW Apple, would it really hurt to have TWO (2) speakers in your phones & iPads? True stereo requires separation not available on a single speaker. I’d gladly pay you another dollar. Where is your so called “techie” ? I have an iPhone 5s, and using iOS 9.2.1. It suddenly became a problem for me late last week! I’m so disappointed and feel let down with Apple…this keeps happening. It’s obvious that quality-control is no longer a priority with Apple. Even trying to find out how to fix the problem is a problem, since I can’t click on any links to get to websites explaining how to fix this! I have an iPad Air 2 with ios 9.3 (non Beta), and am trying to rearrange its app locations using iTunes 12.3.3.17 running on a Windows 7 PC. However, I get no screen views of the ipad’s app locations – just a continuous spinning wheel. I had no problems prior to upgrading the ios and iTunes. Also, I’m not experiencing the same problem with my iPhone 5 (also ios 9.3). Appreciate I can rearrange app locations on the iPad itself, but far easier to do it on iTunes. Found a solution to above problem. Basically, change your home screen wallpaper to one of your own photos (Settings/Wallpaper/Choose a New Wallpaper then use anything other than the Apple Wallpaper). Having a nice pic of a blue rendered wall was very handy, and I actually prefer the result to Apple’s default option. Updated and now constantly dropping wifi! One of Swedens biggest newpapers with 3,5 million readers.. Good thing! BRING ME AN UPDATE – AND NO ONE GETS HURT! I updated my ipad air 2 and my iphone 6s plus on Tuesday just a few hours after the Apple conference last Tuesday when iOS 9.3 was released. iOS 9.3 worked all fine until last Sunday. By some unknown reason, at that point, something make it work wrong, links dont work, but they did for 4 days. I thought I got a virus in both devices. I suspect it has something to do with the summer/winter time change in Europe. don’t think its the update to 9.3 as my iPhone 5s is on 9.3 and ok so far but my iPad air is still on 9.2.1 but links don’t open in safari on it or links in emails. Update my iPad Pro and my iPhone 6 Plus to 9.3. On the iPad Pro it seems to be be ok except the battery goes down faster. On my iPhone 6 Plus I am having the issues with Safari and my battery is going down quick and now my phone will not even charge. I had the same problem with 9.2.1 and could not open link on mail and safari. So I thought of updating to 9.3. It did not solve the problem. I chatted with Apple technicians and they said they are working on the problem. Is it resolved on anyone’s phone? When I try to install iOS 9.3, it says that I’m not connected to the Internet, even though I am. How do I fix this? You’re lucky it says that. If it didn’t, it would have messed up your machine while downloading the update. DONT DOWNLOAD THIS UPDATE IF YOU HAVENT ALREADY! Well …just got a notification of a new iOS version available to me at about mid day today half…but IT’S STILL A NO GO!….just downloaded and installed the iOS 9.3 (13E237) on to my iPad Air…..I could open a You-tube link and a Facebook link from a Safari search…but all others are still dead..I can scroll through the search results….but if i hold down a link Safari (and all other Apple Apps) freezes and has to be restarted….once again I have to disable java in Safari…….but then not all websites work..
It’s interesting that Apple preach on about the advantages and beauty of their hardware/software integration and the robustness of their “ecosystem”….well if you live by that sword it looks like you die by that sword…..certainly on this thread! I’m sure Android Users probably suffer similar issues from time to time…but maybe don’t have a single place like the Apple Forum to complain about it (although here it seems there’s still a lack of interaction with Apple Support staff)……OR…… maybe they DON’T actually suffer this kind of thing in the first place!? Apple in their last keynote talked gleefully of only 2% of Android Users updating to the latest Snow Cone (or whatever! )……but I’m not sure who are the dumb ones now! Got the same problem as everyone here.. :( i can’t open any links in my mail and then it hangs and everytime i use safari i can’t open any other links too when i google them.. Me and my husband have got iphone 6plus and we both updated at the same day and he’s not having any problem .. Only me. Anyone got any idea as to when this is going to be fixed??? It’s darn frustrating…..
Ipad 2 have had to revert to using my PC. Safari links dont work so the pad is pretty much a paper weight. Uninstalled booking.com and switched Java off, rebooted, but made no difference. I have been using iOS 9.3 public betas and never had issues. I really hope some background system task hasn’t killed my battery life or I’ll nuke Apple. My iPad, instead, has stopped opening hyperlinks after the 9.3 retail update. Every previous beta has been flawless on it too, but the retail iOS 9.3 release has broken hyperlinks in both Safari AND Chrome. Oddly enough, links in graphics elements (buttons, images…) still work. It’s only text links not working (like in Google search results). My phone is done working after 4-5 hours and my iPad can’t navigate the web through links. it’s not that Apple has lost creativity with Steve Job: it has lost its competence! How could they screw something that had no issues at all in the betas?!?!?! DAMMIT APPLE!!! so now apparently, iOS 9.3 updated iBooks will advance pages with a Bluetooth keyboard space bar. Great… unless you actually want to type a space in a text field in an ebook! Well my apps do not work on my IPad mini 3… I can not see any videos from YouTube and Twitch…thank you apple you ruined my IPad…I wonder if I can update soon because all I get from the iOS 9.3 update is unable to look for any updates instead of seeing…the software update is up to date. Weirdest part is I have had no problems until yesterday…. Updated my iphone 5s with iOS 9.3, now my otherwise perfect little phone will not charge, anywhere, using any charger. Obviously not a coincidence but unsure what to do next. All I have is a vague image of battery w/tiny red line on display. I do not have access to Settings or any other feature. I cannot downgrade back to iOS 9.2.1 if I can’t even open my phone. I am stuck, and furious. I can’t imagine that Steve Jobs would be happy with any of this nonsense. Does anyone have any ideas outside of throwing useless phone out the window? If it is a hardware issue, Apple would need to fix it, or you could order your own battery replacement kit but that’s fairly complicated if you’re not experienced with changing out hardware components. My iPad2 would not connect to the cellular network after an iOS upgrade to 9.3. I fixed this by taking out the SIM card and inserting the one from my iPhone which connected my iPad to the network and then I removed this from my iPad and inserted the original SIM from my iPad and it connected to the cellular network without any difficulty at all. I’ve done done everything possible, including a complete restore, and still have issues. Am really concerned that it’s going to hit my iPad next. If I click on links in Mail then it freezes and won’t take me to the page, and I can’t use links in Safari. Not inclined to upload another browser. LH, you must update to iOS 9.3.1 to fix the link crashing issue. That is the only if your Safari freezes and Mail freezes when links are touched. My search in Messages is not working on iPhone 6 s 9.3.1. 9.3.1 update deleted all the Photos in my iPad mini 4, more than 5000 pics!!!!!! The new update is nothing but pure sadness. Not only am I experiencing pretty much all of what has been mentioned already but apparently Apple had blessed me with further issues like, unable to attach photos to messages & emails, unable to view photos due to apparently not being downloaded from the cloud despite the fact that I just took the photo, unable to edit & save photos. I feel like this list could go on and on. I have upgraded to 9.3.1 iPad 3 so battery life started dying. Now it’s dead and and when it wants to turn on it going dark again, this repeats all the time. What should I do? My IPad 2 is saying no service the whole time!!!! I have tried to connect it to a wireless network and it’s saying the same thing!! I have tried everything!! Honestly, how am I suppose to fix this now if I can’t get it to connect to anything?!?? It also said that it is jail break… I don’t even know what the hell that means⁉️⁉️ How are you fixing this Apple????? iPad 3. Opened Bluefire Reader after the ‘upgrade’ to discover it empty. 100+ books simply vanished. After the previous ‘upgrade’ most of my Notes disappeared. After nearly 3 hours on the phone with Apple they walked me through the steps to lose the rest. I sat watching them wink out of existence one by one, and also out of my backup and the cloud. 600+ Notes, gone. I am beyond disgusted and seriously considering going back to the dark side. Since the updates, I am unable to attach photos to my text messages and emails. Terribly frustrating since my family doesn’t live close. Any workaround that anyone knows of?? Since upgrading to iOS 9.3 on iPhone 6, Mail has randomly revived previously read and trashed email back into the Inbox as new/unread. Also, sometimes it will show some number of unread emails but going into the inbox shows no unread email. forced to update to 9.3.1 over the past week – obnoxious popups – man, really un-Apple. And arrogant. Finally gave up and downloaded 9.3.1 and my music is gone! In fact, the whole menu is gone – blank white screen when you press on the MUSIC icon. Worse than the old blue screen of death to my eye – at least I knew where I stood. If this was really that dangerous an update why no warning? – why shove it down my throat? – my phone was working fine. I think Tim Cook should be fired. I concur with the above…. under pressure from 3rd party apps to update my 4s which has been working just fine and seems nigh unbreakable from drops… i just updated to 9.3.1 and now can’t access cellular data at all. Tried all the suggestions… resetting network connections, toggling on and off airplane mode, etc. Nada… Apple support suggestion was to reset the entire phone. Total waste of my last 2 days at this point. I’m very disappointed with Apple now…. the QUALITY reputation is declining and it’s very disappointing. I hope leadership gets this to know that they need to step up their game. The current iOS update on my 6S+ caused (Cablevision’s) optonline INCOMMING MAIL POP SERVER, that I access thru APPLES MAIL app, to become an IMAP SERVER. THIS MAIL APP CAN NOT ACCESS and connect to THE INCOMMING MAIL SERVER, mail can not be dnld’ed, and all of the various mailboxes have disappeared. No matter how I have tried to reconfigure the port for IMAP, or back to the original Pop settings, (with Cabelvisions help), I get the same message that the INCOMMING server can’t be accessed. I also use apples MAIL app TO ACCESS GMAIL , besides iCloud mail, and those continue to work fine. Otherwise this update has not caused any other issues as described here! HELP! And Thanks! Delete and re-add the email account to the iPhone, that will reconfigure it. That will delete your emails on the iphone though. The update is obviously reconfiguring any and all INCOMMING POP mail servers to IMAP. SO IF ANYONE can advise how to reconfigure this basic setting, and revert the server to a POP, I think the problem could be solved. It’s then a question as to whether the next restart of the iPhone will again corrupt the POP SERVER TO FORCE it to become an IMAP SERVER. THANKS AGAIN! Help! I alway update my IPad to the next software and I have an old IPad. Anyway, last night my connection to the Internet went out on my iPad. I shutdown my IPad for the night with the Apple & tried to connect to the Internet again. It didn’t work…its clocking & clocking. Before I throw it at the wall & stomp on it..can someone help me? Sorry, what do you mean by ‘clocking’? Disconnect vpn service would not allow me to connect after the update to 9.3.1. Turned it off using Settings>General>VPN and everything worked fine. Am I missing something here? Is there still any difference between running upgraded software and being a beta tester? And are free upgrades actually free when they cost you time (money) and frustration? Thanks for any rational explanation. And saying they are forced to deliver incomplete because of market conditions is not rational from this consumer’s viewpoint. I have ipad 2 and the battery stopped charging yeterday morning. I updated software about two weeks ago and have had issues with safari links not working etc. I would do the reset and it would work. As of this morning there is no reponse on the ipad2. It seems that with each update Apple is creating “collateral damage”. Next tablet will not be an ipad. Not worth the hassle. After F*cking with Apple and PC’s for 25 years i’m just beyond disgusted. This is the modern world? Take me back to the 60’s. I have wasted so much time fixing problems, fixing corrupted files that go bad after a few months, trying to stop various pieces of crap from changing settings on their own and on and on and on….in times past I think many of these shoddy companies and the idiot savant managers that run them would be indicted for consumer fraud. Form before function used to be a valid and consistent design idea that worked well for years but now we have this archaic stuff that is “different” and doesnt need to go by the old ideas…right? Just like the tech economy worked by new business ides and didnt need the stogy old ideas…but they found out they did when the dumb arses caused a huge portion of the population to lose all their investment in the dot com crash. i upgraded to 9.3.1 since then my iphone stopped charging after 65%, what to do? 97% to 54% battery life in 20 mins after the update. What is the problem?! How do I fix it? Also my messages aren’t sending is it related to the update? Updated my iPad 3rd gen to iOS 9.3.1 and now it will not recognize a cable and it’s sitting at 6% now. I have reset everything and nothing seems to work. All the fixes told me to connect to iTunes…. how can I connect to iTunes (with multiple cables, none of them work) and do a reset if it won’t recognize the cable????? I am unable to update or install any app from the app store . What should i do ?? i upgraded to 9.3.2 since then my iphone not able to open safari, what to do? My wats ap in iphone 6 is giving problem and now its not getting opened from yesterday how to fix it? i5s updated to 9.3.2 not able to charge the phone. .. the first charging after update was okay, the battery got more hotter.. The next day, battery is empty.. cannot charge anymore with any cable, certified or not does not make any difference. my phone recently stopped receiving calls and text messages and it says that it is searching where it should say my carriers name so I can’t text, (only iMessage on wifi) nor call or FaceTime I’ve tried updating to iOS 9.3.4 but it keeps on saying “update unavailable” what do I do? My iPad2 would not connect to the cellular network after an iOS upgrade to 9.3.